Start with a heated cuticle soak, nails filed and trimmed, cuticles trimmed, relaxing lotion massage, and nails polished with a color of your choice. Includes all services of the basic manicure plus gel polish. Additional $3 for removal of old gel polish. Revitalize your hands with our signature Lush Manicure. Includes heated cuticle soak, nails filed and trimmed, cuticles trimmed, exfoliating hand scrub, hot towel wrap, paraffin dip, relaxing lotion massage, and nails polished. 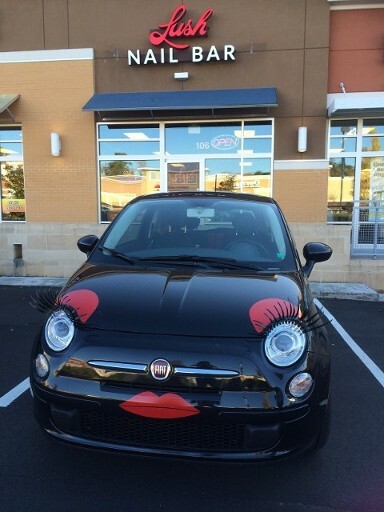 Nail enhancements can accommodate any lifestyle. 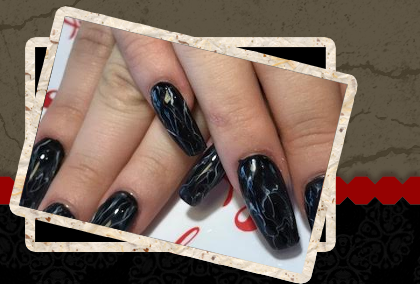 Consult one of our professional nail technicians to determine which nail enhancement is best for you. Considered one of the best enhancements in the industry. Solar nails are strong and resist from lifting, yellowing far more than many other nail enhancements. Solar nails come in different colors and is ideal to achieve a permanent “French” on the nails. Prices vary depending on color and artwork. Are an extremely natural-looking enhancement: thin, light, flexible, nonporous, resist lifting. The look of Gel with the strength of Acrylic. A more durable option to liquid gel. Same concept as regular gel nails but using a white gel to achieve a permanent French look with no chipping and longer lasting white. Acrylic nails, in most cases, are the strongest semi-permanent nail extensions available. Ideal for everyday chores and tasks while keeping your hands beautiful. A light weight more natural feel then your regular acrylics but with all the durability. Each set needs to be soaked off and reapplied. Eyebrow tinting is perfect for men and women with blond, reddish, or light brown hair who want more clearly defined brows. Brow Tinting can dramatically enhance the look of the eye area. Results last up to 2-3 weeks.